Hide this Dealer (Iskon Properties)Discover properties by other dealers by hiding those whom you have already spoken to. You won't see them in your searches further but you can unhide anytime later. Hide this Dealer (Growmax Wealth Management Services)Discover properties by other dealers by hiding those whom you have already spoken to. You won't see them in your searches further but you can unhide anytime later. Hide this Dealer (Sameer Mahajan) Discover properties by other dealers by hiding those whom you have already spoken to. You won't see them in your searches further but you can unhide anytime later. Hide this Dealer (Sinha Estate)Discover properties by other dealers by hiding those whom you have already spoken to. You won't see them in your searches further but you can unhide anytime later. Hide this Dealer (Valuez)Discover properties by other dealers by hiding those whom you have already spoken to. You won't see them in your searches further but you can unhide anytime later. Hide this Dealer (R P Tripathy) Discover properties by other dealers by hiding those whom you have already spoken to. You won't see them in your searches further but you can unhide anytime later. Hide this Dealer (Sanjeev Dahiya) Discover properties by other dealers by hiding those whom you have already spoken to. You won't see them in your searches further but you can unhide anytime later. 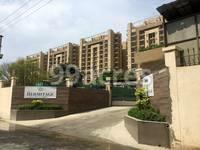 Satya The Hermitage is a residential development of Satya Group. Located in Gurgaon, it is built across a wide area. These luxurious 2BHK, 3BHK, 4BHK, 4.5BHK apartments and 5BHK villas makes it a dream home to everyone. These apartments are beautifully crafted with modern amenities. Sector103 in Gurgaon is a developing locality with huge infrastructural construction. The locality has scenic beauty of nature in its full bloom. The sector is close to Dwarka Express Highway that is known to be connecting it with the rest of the city. It is a prime location for buyers and ROI. Where is Satya The Hermitage located? Sector-103, a prime residential locality for house seekers in Gurgaon. What is the area of apartments in Satya The Hermitage? The area of apartments offered in the project ranges from 1419.0 sqft to 4720.0 sqft. What is total area of 2 bhk in Satya The Hermitage? The area of 2BHK units in the project varies from 1419.0 sqft to 1533.0 sqft. What is the 3 bedroom size in Satya The Hermitage? The area of 3BHK units in the project varies from 1814.0 sqft to 2555.0 sqft. What is the 4 bedroom size in Satya The Hermitage? 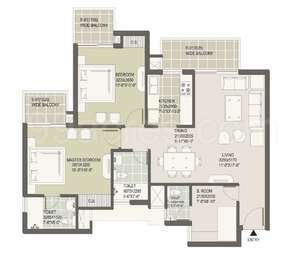 Four-room units (4BHK) in the project are available in an area of 2605.0 sqft to 4711.0 sqft. How much is the total size of Satya The Hermitage?The project is spread over an area of 10.2 Acres. Its a good choice if this is in your budget. How much booking amount is required for Two Bed Room set. What is total price including hidden charges parking etc.Is it a fixed price or there is any escalation Ramesh Behl- At present in Burma -Oil and Gas-Advance will be paid by my family from India. @. Hi Nishant, The Hermitage is an under-construction project and the builder is expected to hand over the possession by February 2017. This project offers 1BHK, 2BHK, 3BHK and 4BHK and is situated in sector 103 in Gurgaon. The project is approved for home loans by leading banks such as ICICI and HDFC Bank. Talking about the locality, this project is located in sector 103 in Gurgaon, which is still a developing locality and it will take few more years to fully develop. The surrounding sectors such as 106, 109 and 110 are also developing. Commercial establishments such as Schools, hospitals and malls are located at a distance of 5 km from the locality. With infra developments happening at a rapid pace in Gurgaon, you can expect the area to get a boost soon, but this might take 2-3 years from now. Hi how is The Hermitage project for end-use as I am looking for a property in this project but I have no idea about the locality? Is it worth investing here please suggest? Is this socity ready to move in ?